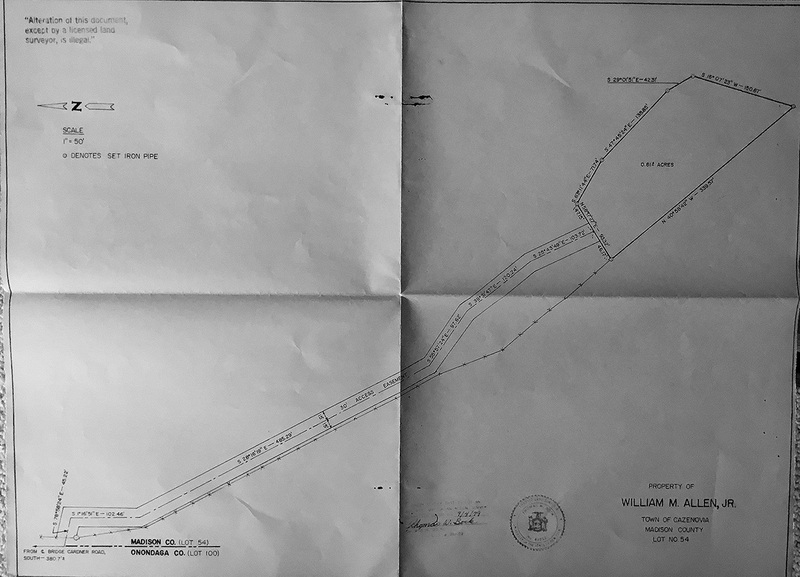 *** The parcel listed for sale is 66.27 acres as listed below. 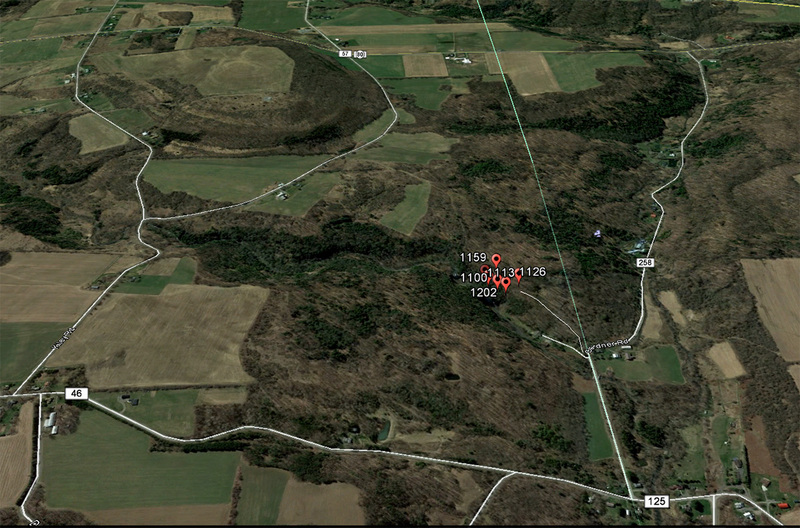 The .81 acre parcel noted is available at additional cost. There is also piping running from above the upper falls to below the lower falls to a small powerhouse that is excluded and an easement will be required for its use of power generation. 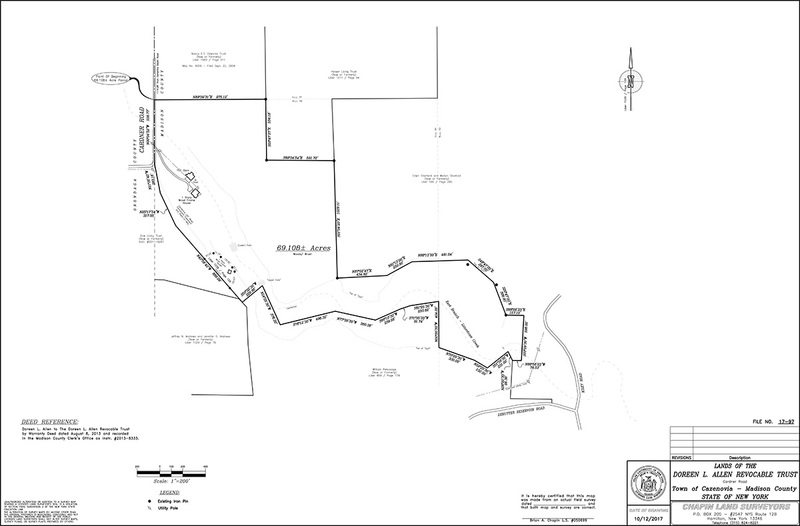 For information on this parcel and improvements click here. All information provided here needs to be verified. House Date: House is ~ 3500 Square feet. 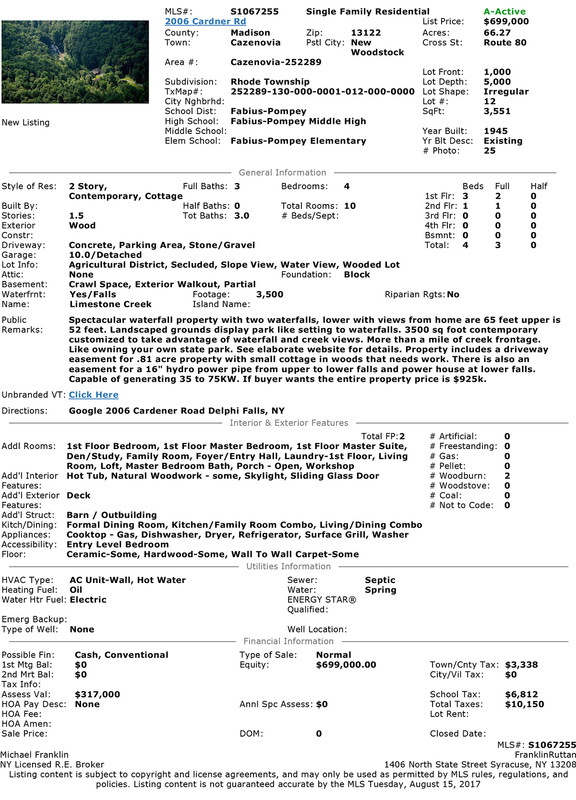 It has a master bedroom suite with jacuzzi and fireplace on the first floor. It has two additional bedrooms on first floor that share a full bath. One is currently used and a work/computer room. There is another master bedroom suite on the 2nd level. Currently it is configured with three beds. The livingroom has a prominent formal fireplace and opens to a wall of glass that looks to the waterfalls and outdoor decking. The kitchen also plays to this space. There is 1st floor launtry facilites. There is also a TV/family room. Barn is ~ 50 feet by 50 feet with high cielings and concrete landing. 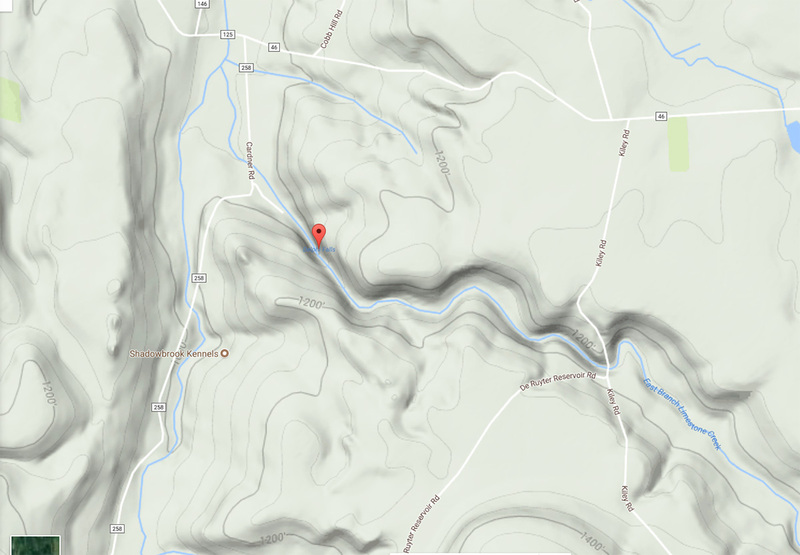 The 66.27 acres includes more than a mile of creek frontage. In many places especially near the house the parcel includes both sides of the creek. House is heated by oil and has DSL Internet access. House is on septic. 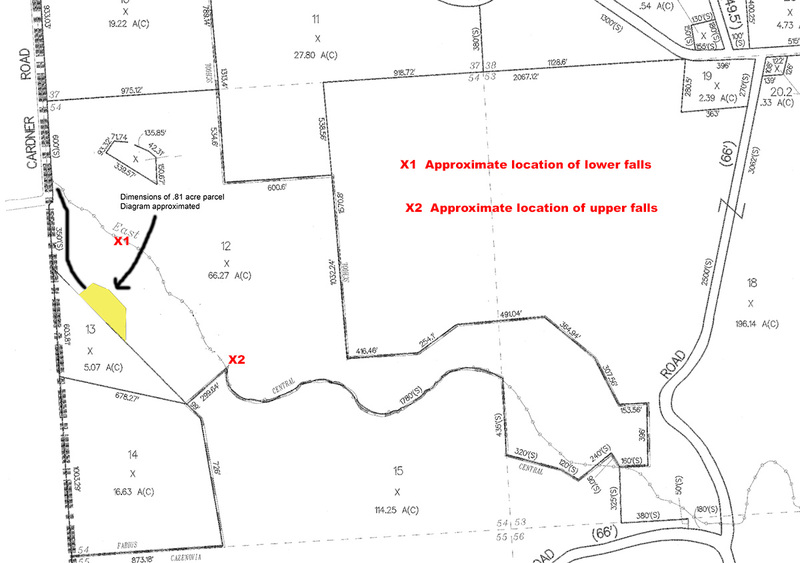 The listing includes property inside red lines, but excluded power generation piping, .81 acre parcel and easement of drivewat to .81 acres depicted in yellow in this diagram.